An interesting look into Warner's head. During Shatter Me, he's only mildly appealing because despite his pro-re-establishment stance, he obviously has a thing for Juliette. It was nice to see that his interest in not just in her ability, but in her as a person too now. And even though he'll more than likely continue to do his father's bidding, there's a level of sympathy for him now because of their strained relationship. While I still think Juliette's childhood was worse, they do have similar lives. I can see why Warren's infatuation with her only increased after finding her journal. After reading Shatter Me I was so sure that her and Adam were IT, but it's obvious now that Warren will play a larger role as a love interest. I'm looking forward to seeing where Tahereh takes this triangle. 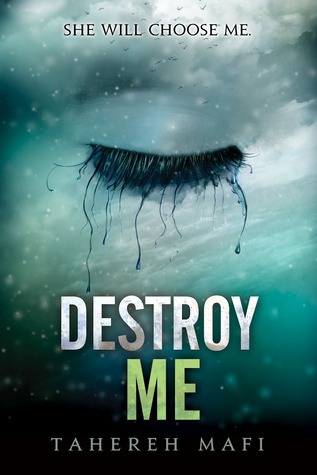 Sign into Goodreads to see if any of your friends have read Destroy Me.